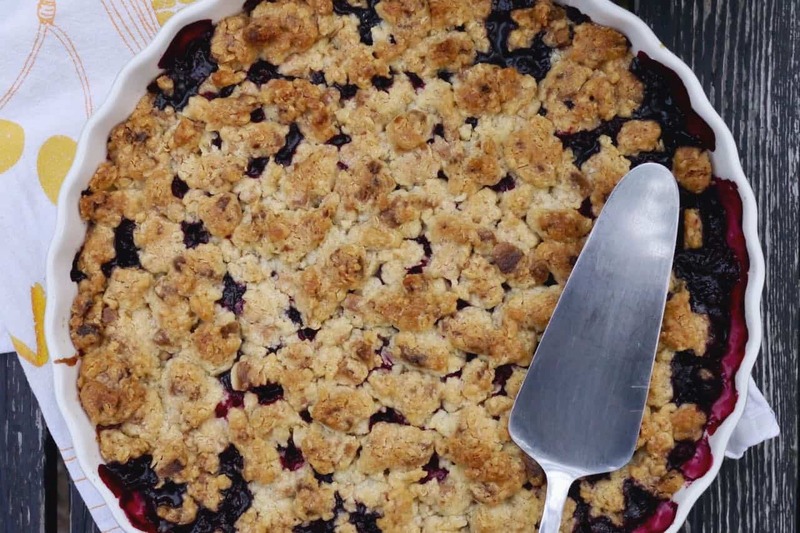 What says summer more than a berry crumble? Nothing, if you ask us! Comes complete with purple stained, sweet smelling finger tips even, if you’re lucky enough to live in a place where you can pick your own berries. 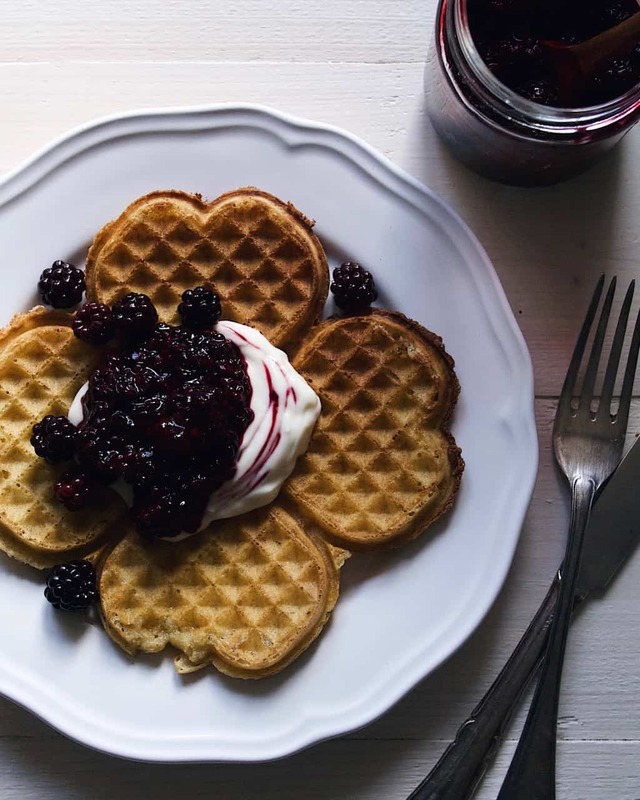 For this one, we’ve gone for black and red currants, as well as raspberries, simply because that’s what the garden and the woods provided us with when the crumble craving hit us. Equipped with a bucket, we set out – and came back with a quart/liter or so of mixed berries an hour later. Adding the white chocolate into the crumble dough is 100 % the result of Michael’s brilliant mind. It. Is. So. Good. So good our mother/mother-in-law Birgitta has named it one of the best crumbles ever, and she’s an outspoken expert on the subject (all things sweet, really). I shouldn’t be wasting your time anymore – go make it! And know that any berries or combination of will do just fine – no need to chase after a particular kind.